What does Nidan look like? Sets with Sensei Dave, my fantastic uke for my black belt test. One year ago I tested for my Shodan rank. 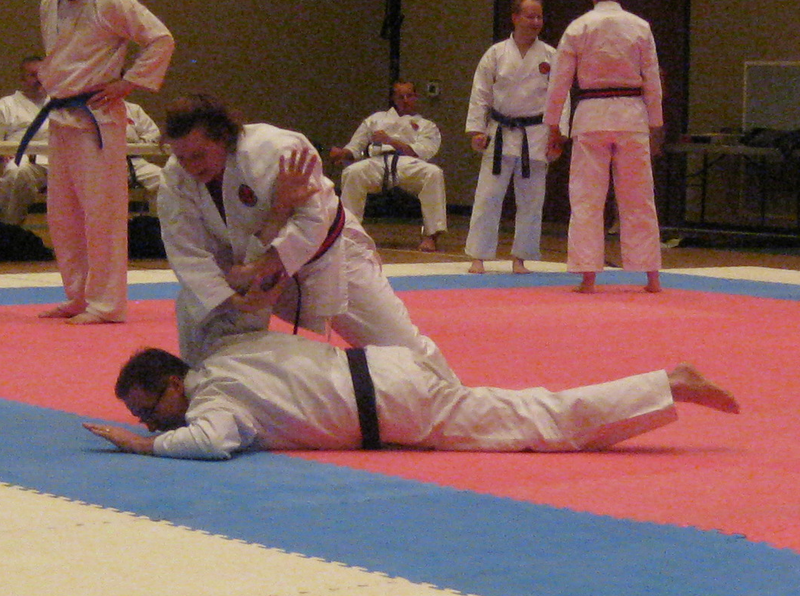 If all goes well, I will test for Nidan in another year. Through kyu ranks to Shodan, there is a lot of material to learn and memorize: basics, drills, self-defense sets and kata. With so much to learn in four short years, I couldn’t say I was a master of any of it. I was just putting the building blocks in place. With my Shodan rank earned, I am still not a master of anything – except putting my gi on correctly, and there are days I’m not so sure I’ve mastered that! The path from Shodan to Nidan is different from the path to Shodan. The requirements to Shodan are laid out very clearly. The path to Nidan? Not so much, as far as I was concerned. I wasn’t really sure what Nidan looked like, and that made me a bit uncomfortable. When I’m uncomfortable, frustration isn’t too far behind – and that’s never pretty. I can’t hit a target I can’t see, and can’t chase a goal when I don’t know what it is. I spent my first four years learning 10+ kata and eight sets, one after another. 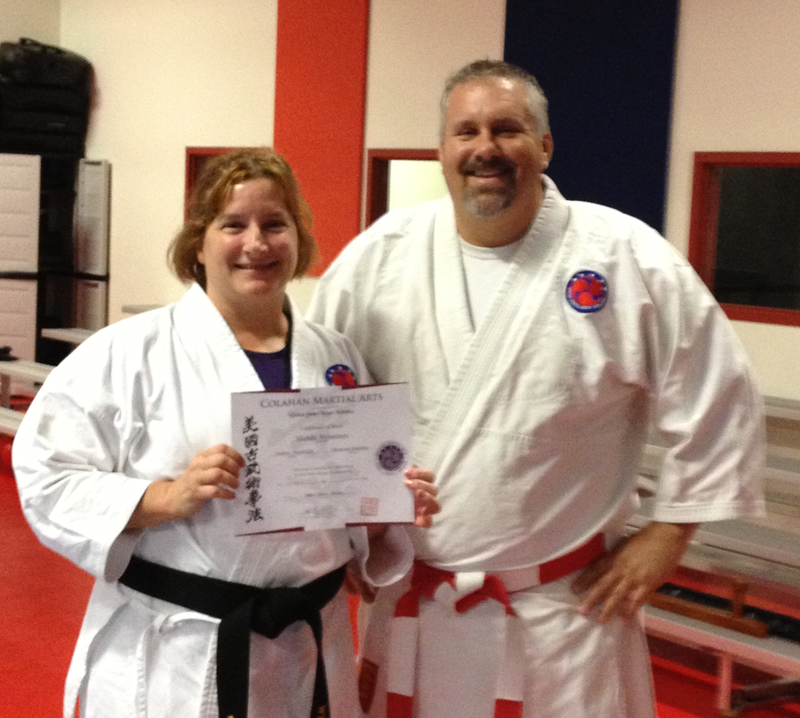 To advance to Nidan, I have to demonstrate two additional kata and one more self-defense set. That’s not a lot of material to learn in two years, so obviously memorizing kata and adding to my repertoire is not the point. So what is it? It took me a while (longer than it should have, I’m sure!) but I’ve come to realize the time between Shodan and Nidan requires a shift in thinking. My path is no longer about memorizing material. It’s about what I can do with the material I’ve already learned. With relatively little new material to pick-up, I have time to really focus on my basics. To make them crisper, faster, and smoother. To work towards mastering them. I can explore what I’ve learned so far, looking at things with a more experienced eye. I’m learning what my go-to moves are and what works – or doesn’t work – for me. I’m learning what I would really do at the end of a self-defense move, as opposed to what has been scripted for me. So what does Nidan look like? It looks like a better Shodan. 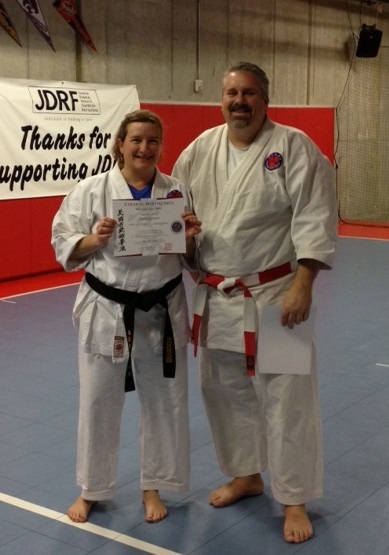 How different will I look as a Nidan? I really don’t know. I’m sure I will not have mastered all my material. That’s a longer journey than this short two years. But I will be on my way, now that I have a better understanding of my goal and what to focus on to get there.